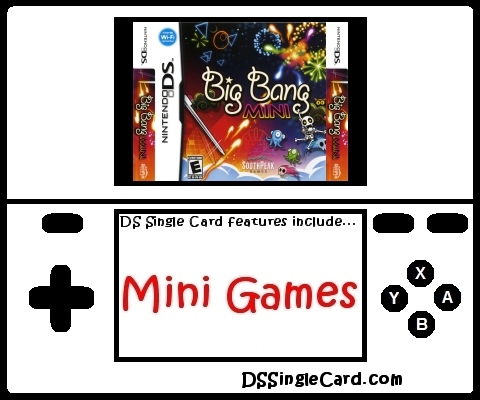 Alternate Names: "Big Bang", "BigBang Mini", "BigBangMini", "Big BangMini", "Big Bang: Mini"
Blast your way through this fast-paced shoot 'em up that delivers a new spin on classic arcade game-play! Unleash high-powered fireworks with a flick of your wrist and devastate hordes of amazing enemies across nine fantastic worlds. Enjoy intense multiplayer action (only one game cartridge required! ).